Worn out from this experience but excited about the potential for where this little machine could go Edward had a few discussion with me, Zach Kaplan, founder of Inventables. Shapeoko is an open source project that has a very passionate community of people that are eager to help newcomers and are very friendly. There are no n00bs on this forum, everyone has a seat at the table and we're all working on the project together. That's a big part of what makes the Shapeoko awesome. 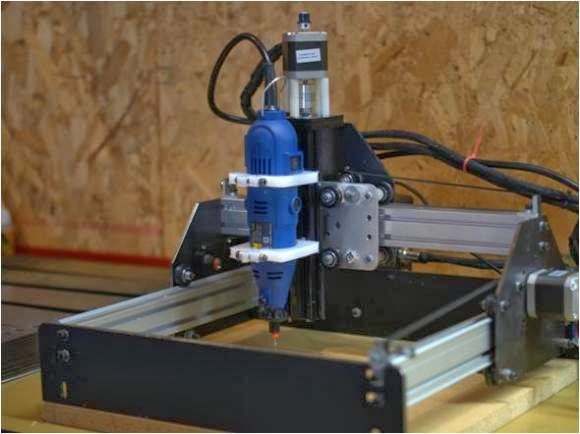 When you use it you're not alone, you've joined a group of people that have taken CNC Machining into their own hands, into their offices, and into their homes. A group of people that love rolling up their sleeves and making stuff. Real stuff. A few of the folks on the forum have emerged as super helpful leaders like ImprobableConstruct and Will Adams. 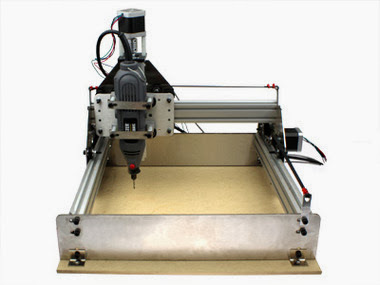 Working closely with Edward, Inventables launched the Shapeoko on our website and to our surprise it became the fastest selling CNC Machine in the history of the world. Over the course of 2012 and 2013 the user base started growing exponentially and feedback started pouring in. People in the community shared their build notes and design suggestions, improvements, and hacks and soon enough there was a large body of knowledge built up. Edward was the most active person on the forum with thousands of posts and took just over a year to figure out what the next version should look like, what functional changes had to be made, and how it could be improved. At Inventables we hired a team of people to help support not just the Shapeoko but a full category of Desktop CNC milling, in addition to making improvements to our inventory, fulfillment and shipping departments. So you're probably wondering where is my Shapeoko2? This an open source hardware project. I think we should start by explaining a little bit of the process Inventables uses to source and assemble the parts for these kits. This whole project is a community effort so I want to share a bit about how the sausage is made. First, Edward finalizes his design. Which is itself a whole universe of prototyping, CAD, experimentation, and revisions. Once that's done, we take his BOM (bill of materials) and go about finding the best quality/lowest cost sources for all those parts. Some of the parts are standard and known, and some of them are a little more specialized and require research to find the best supplier. Inventables works with a "kitmaker" who handles counting out all the proper number of motors, makerslide, etc. in to the parts bags and assembles those all into boxes. Some parts are counted out manually, and some of the smaller parts like washers and socket head cap screws are parceled out according to weight, which is a little faster but may account for "extra" parts left over when you've finished assembly. However, the kitmaker doesn't start working on assembly until all the parts have arrived, so the entire process is dependent on the part with the longest lead time. One other important note here is that the kitmaker puts all the MakerSlide and big parts into the boxes, which is why it's logistically difficult for us to swap out custom sizes of MakerSlide on individual orders. Here's some photos of the kitmaker's warehouse. Those are all the Shapeoko parts, waiting to be sorted. The kitmaker assembles a few test kits for Inventables to use for Quality Control. We received the first couple of test kits and sent one to Edward and Will from the forum to get feedback, and checked through a few ourselves. We're looking to see that the correct amount of all the parts are there, and also we're looking at how they're arranged in the box and packaged to minimize damage during shipping, as well as making sure it's all organized and all the parts can be easily found so that the end user has a nice experience. Will and Edward also used these kits to write the build instructions. For all the kits that get the preorder perks, we're also working out a process to add the correct t-shirt sizes and other bonus items to the boxes before they're sealed for shipping. We also add certain parts to the kits ourselves that come from our warehouse, which is its own whole separate process. When items are delivered to us, they go through an Inventory Check-in process to make sure that the right parts have been delivered, that they're within allowed tolerances, that there's no damage, and that we received the correct quantity. This is true for every item we sell whether its flat washers, MakerSlide, acrylic sheets, you name it. Lucy is one of our warehouse operations team members who handles check-ins, and she's awesome at it! Once everything's checked in, we organize all the parts so they can be easily found and placed into orders. We then pack all the required pieces carefully into the shipping boxes, trying to keep it all nice and tidy and well-organized. Here's team member Tait putting the finishing touches on a test kit. We also test sending a full kit around through the mail to see if any shifting or damage occurs. Based on the results of those tests, we may engineer a packing solution or change how it's all arranged in the box to protect things better. No one wants a dented piece of MakerSlide or a smashed Arduino. And last but not least, our customer support team including John Hayes are on hand to answer questions (such as "When is my Shapeoko 2 shipping?") and other technical matters through the help@inventables.com email address and the question function on our product pages. We set up and started the final Q/A and packing assembly line yesterday at Inventables HQ. We are on pace to ship the first 495 all ahead of schedule. A good chunk of them will go out this week and we expect the remainder to go out next week. 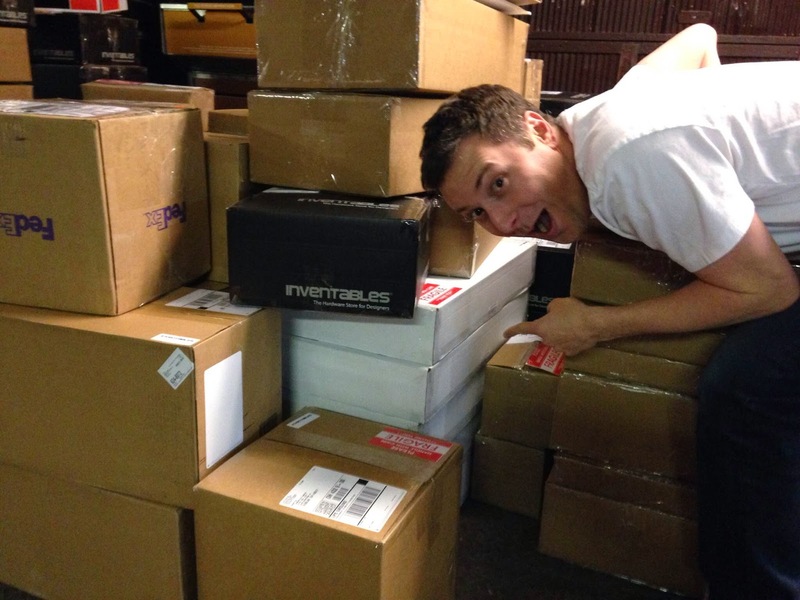 When we ship your order you'll get a tracking number. Here's what they look like on the skids. The first 5 shipped out yesterday. You can see the white boxes sneaking through in this picture. Today another much larger wave got sent, so keep your eyes on your inbox for your tracking number. We aren't able to provide exact timing of when your box will ship or if you are in the first 495. However we will do an update when all of the first 495 have gone out. Simply amazing. The logistics of it all is quite mind boggling. I hope this gives people an idea of how much work it really takes to get an idea from the drawing board to mass production and to your front door. When the kit arrives at my studio I plan on doing an unboxing video as well as documenting my custom build (I'll be expanding the machine and adding different electronics) for all to see and build themselves if they choose. I absolutely love the open-source philosophy. Anyway, fantastic job guys! 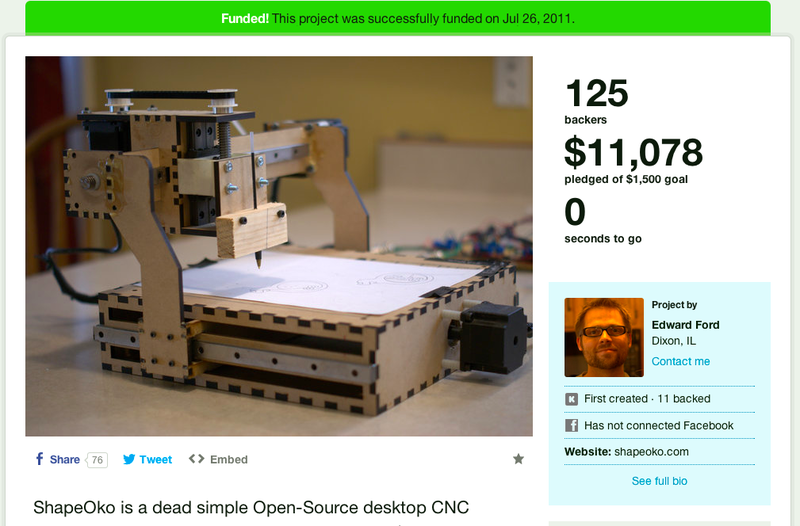 I hope I can become a valuable member of the Shapeoko community. I received my Shapeoko 2 (mechanical kit) yesterday (Dec 5) Woohoo!! (I am in the Chicago area so UPS took only one day.) All 439 parts accounted for. I will start the build today. Thanks! Thanks for the feedback everyone it means a lot! 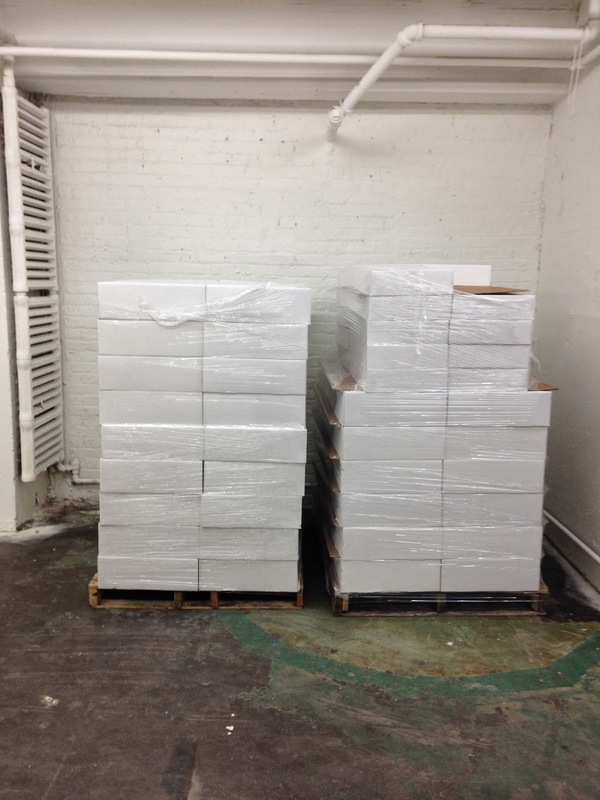 Maybe we should do a Chicago Shapeoko meetup once all the kits have been shipped and built. That sounds like fun, keep us updated about that.